There's no need to turn on your computer when you want to play videos or browse the internet. 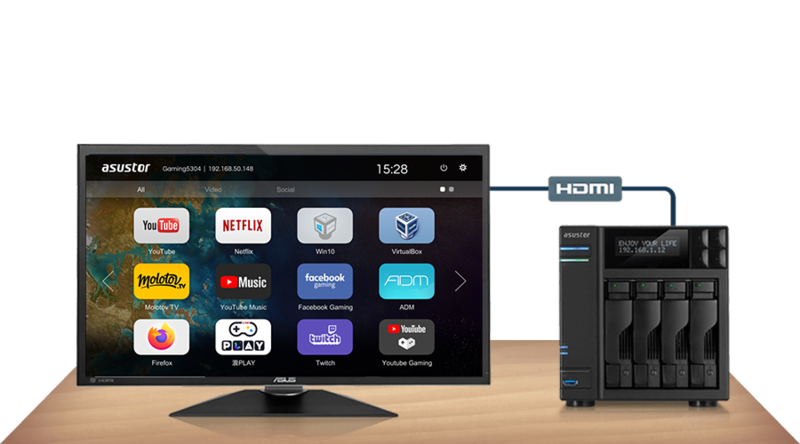 Simply connect your NAS to any HDMI ready display and leave the rest to the ASUSTOR Portal! Within the ASUSTOR Portal you will be able to use browse the Internet using the built-in Google Chrome / Chromium browser. 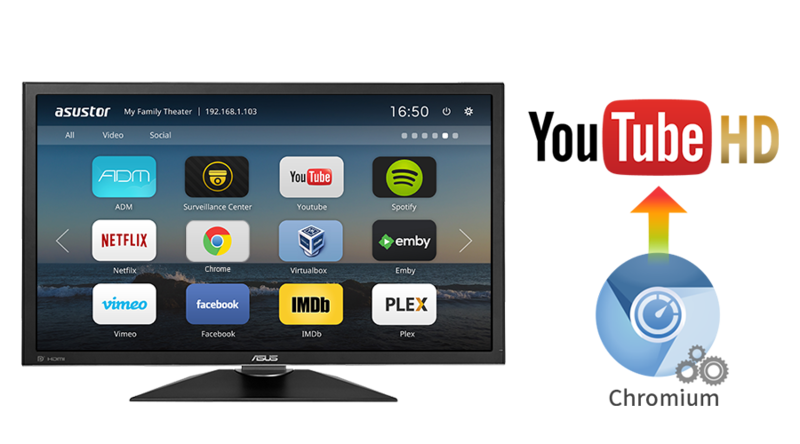 No matter if it's logging in to ADM to manage your NAS, watching clips on YouTube or monitoring live feeds from Surveillance Center, the ASUSTOR Portal helps you get it done from the convenience of your TV. You are free to add all of your favorite websites to the ASUSTOR Portal. Simply clicking on their shortcut icons will allow you to quickly access them. 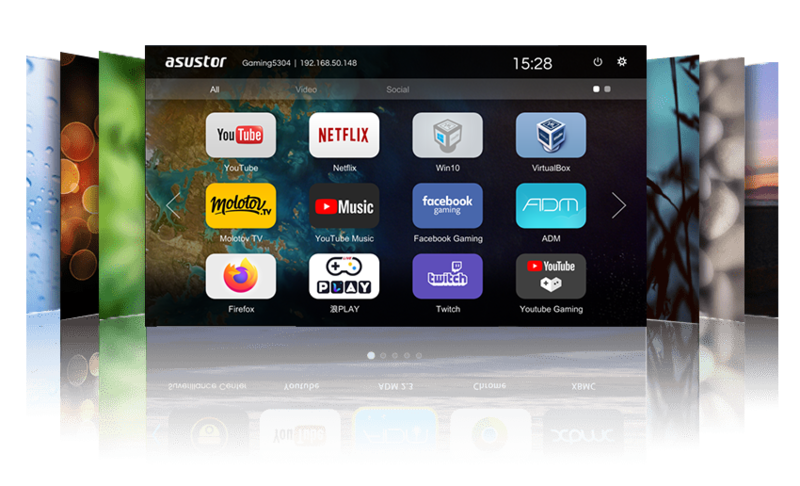 You can also adjust the order of the shortcut icons as well as the desktop wallpaper allowing you to customize the ASUSTOR Portal according to your preferences. 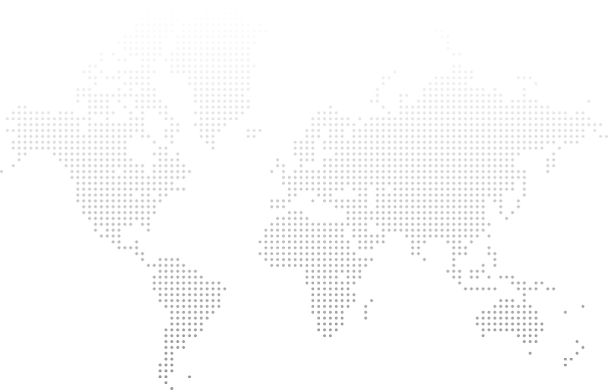 ASUSTOR provides a variety of methods that allow you to remotely control ASUSTOR Portal. 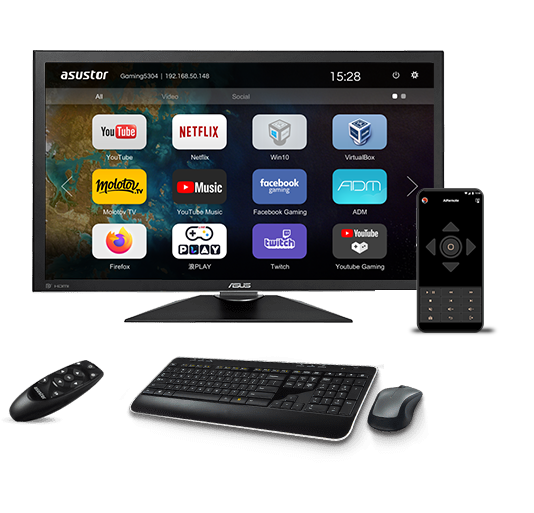 *AS-6 series users will need to purchase an IR receiver before being able to use the ASUSTOR Remote with their NAS. 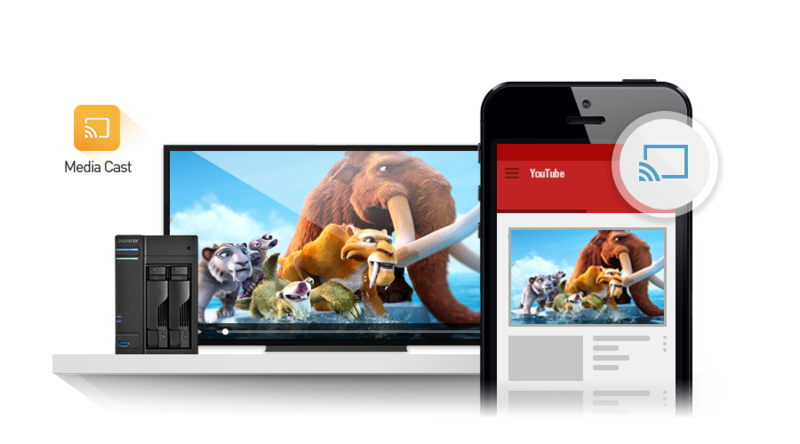 Enjoy enhanced YouTube performance via Chromium’s hardware acceleration. Smoothly watch 1080p videos on YouTube without any delay. *If you wish to disable the floating language status bar, please go to the toolbar of the Chromium Web browser, select the [Google Input Tools] drop down menu, select [Extension Options] and then disable [Show Status Bar]. 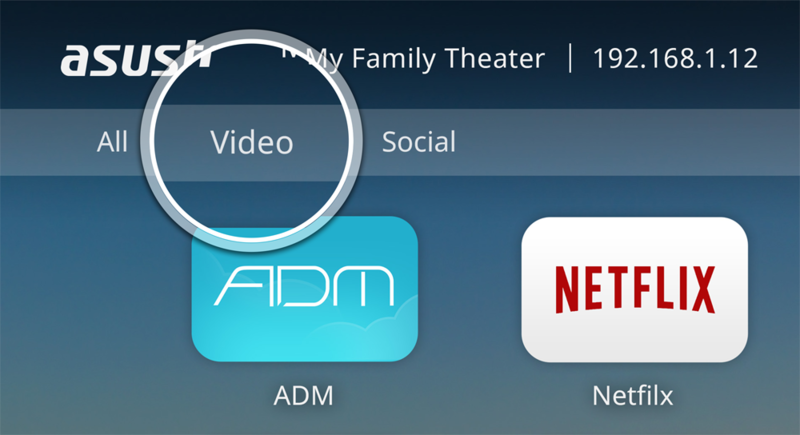 After installing Media Cast from App Central, the Media Cast button will appear when using YouTube on your phone or tablet. Tap on this button and then select ASUSTOR NAS. 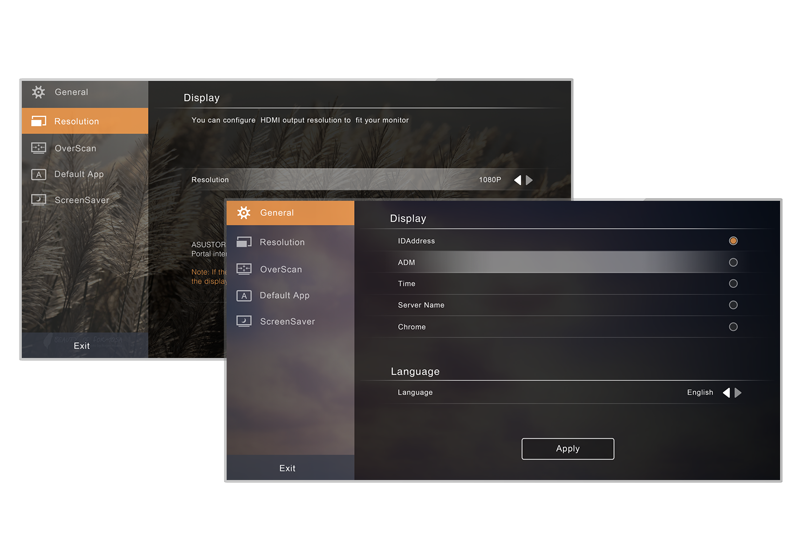 You will now be able to use your phone or tablet to select videos and then have them played on your TV via your NAS’s HDMI connection. 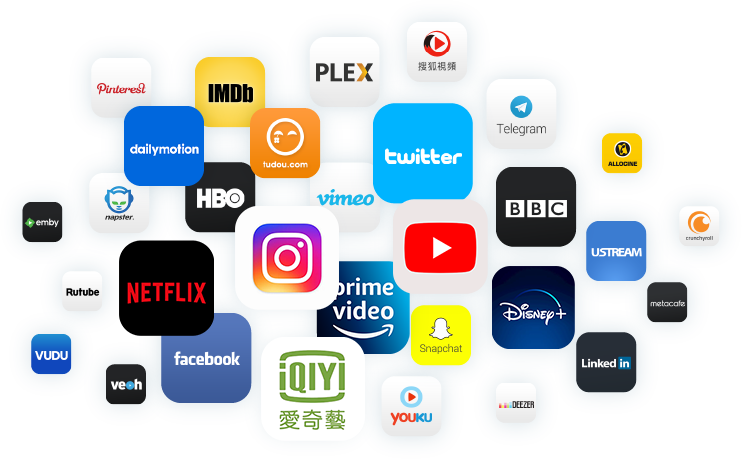 During video playback, your mobile device can still be used to receive phone calls and open other apps without affecting playback from YouTube. *The Chrome and Chromium Web browsers supported by ASUSTOR Portal have Google Input Tools in their toolbars. This gives users the ability to input characters for over 80 different languages without having to download special keyboards.